This year marked the 34th edition of the Festival International de Jazz de Montreal which ran from June 28 to July 7. While jazz is, of course, the predominant form of music to be seen and heard, with over 3000 musicians from 30 countries over 10 days, festival-goers, as always, had a wide range of other genres to choose from – blues, rock, soul, and world music. Of interest to Afropop Worldwide listeners, international artists appearing included Ivory Coast reggae icon Alpha Blondy, Cape Verdean chanteuse Carmen Souza, the Soweto Gospel Choir, and Afro-Cuban pianist/bandleader Chucho Valdez. Stand out performances this year also included African-Canadian singer Lorraine Klassen's tribute to South African legend Miriam Makeba, and French guitarist Thierry “Titi” Robin with his trio who blend French Gypsy and North African music into something reminiscent of Spanish flamenco, but is definitely its own thing. Many of these shows were at the free outdoor stages set-up in downtown Montreal, which is the heart of the festival. 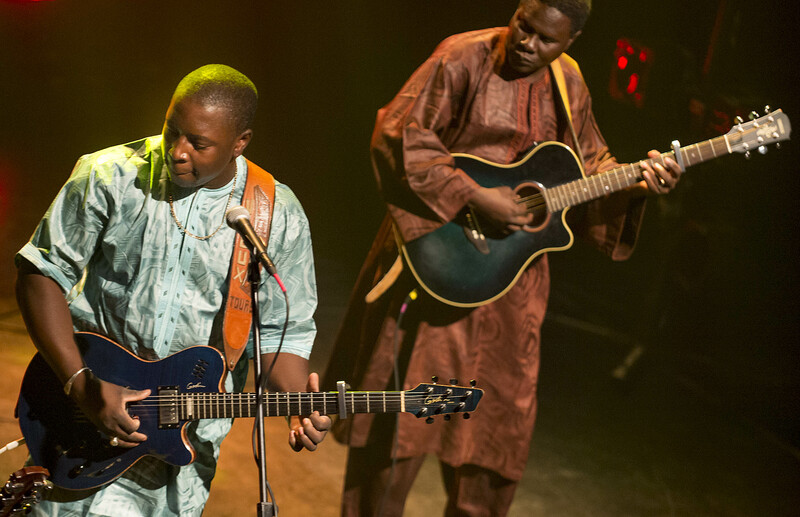 This year audiences were also treated to a trio of concerts featuring some of the top artists from Mali. First, a knockout performance from rising star Fatoumata Diawara. Diawara was actually born in the Ivory Coast, though both her parents are from Mali. Her music, however, is highly influenced by the Wassoulou style of Southern Mali where her family hails from. Audiences went wild for her dervish-like dancing onstage, a style which she first learned performing as a child with her father's dance troupe. In addition to her own showcase, she also joined Amadou & Mariam onstage for the festival's gala closing outdoor show. The Malian husband and wife duo were this year's recipients of the festival's Antonio Carlos Jobim Award, which honors “artists distinguished in the field of world music whose influence on the evolution of jazz and cultural crossover is widely recognized.” (Previous recipients of the award include Salif Keita, Angélique Kidjo, Ibrahim Ferrer, and Gilberto Gil.) 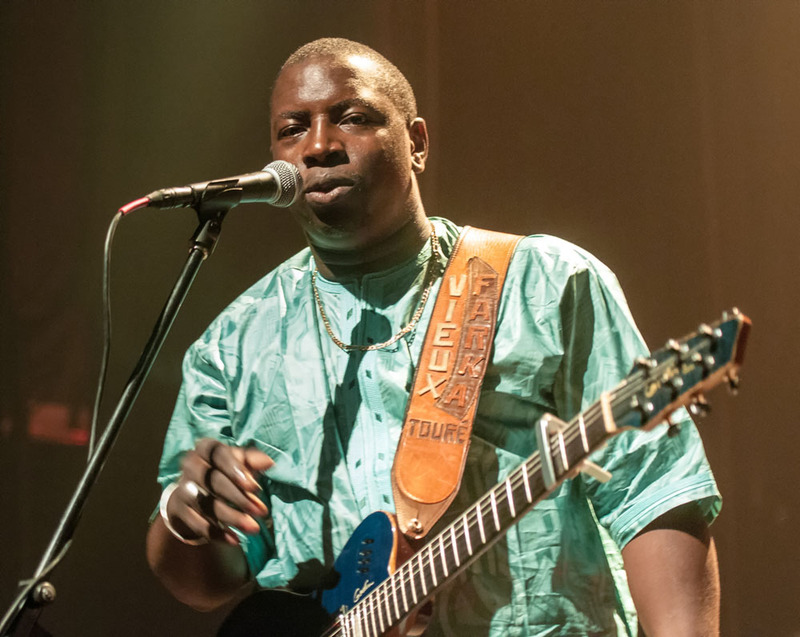 And last, but certainly not least, returning to Montreal for his third appearance at the festival was the great Mali guitarist Vieux Farka Touré. We had a chance to sit down and talk with Touré before his show at Club Soda about his new CD, Mon Pays (My Country), and the year-long nightmare his country has just suffered through. Mon Pays, as its title suggests, is an “homage” to Mali's rich musical and cultural heritage which the religious extremists and separatists who tried to take control of the country had set their sights on to eradicate. “For a long time,” Touré said, “I wanted to record music like this, with the calabash and in an acoustic style, as my father played. So I thought, 'I have done three albums for myself, some that are collaborations with others, and now I'd like to do something similar like my father played. '” His father, Ali Farka Touré, who passed away in 2006, remains one of the most internationally recognized musicians from all Africa. 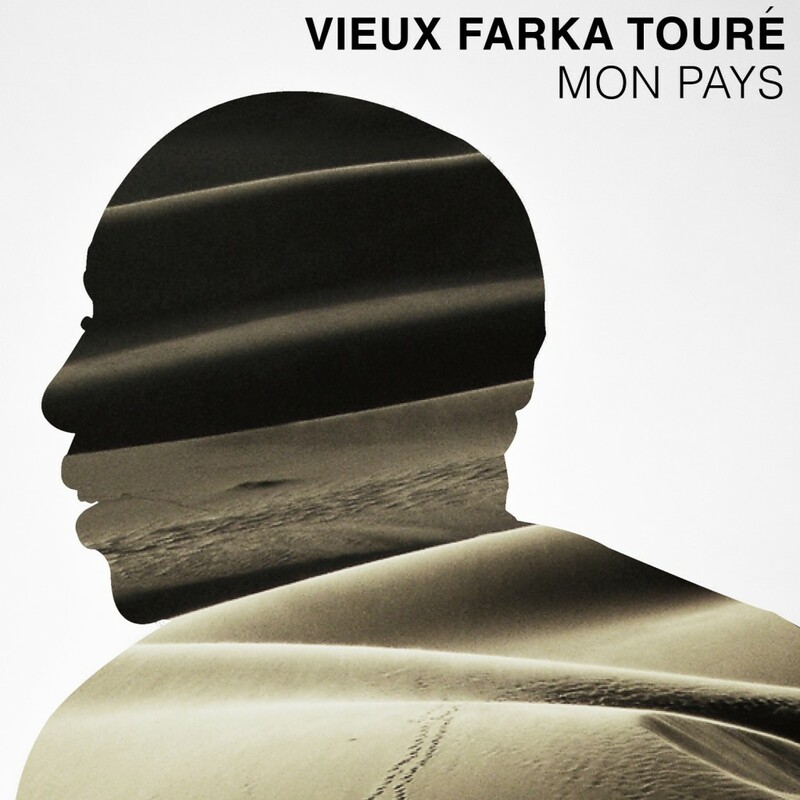 “I also knew I wanted to do these songs in the tradition of Northern Mali because what I wanted to say I couldn't with a more modern sound.” Touré began conceiving the album, he said, three years ago, way before the war broke out. “I saw the problems happening in Libya and I knew and understood that we in Mali would have problems just like there,” he said. “I saw the war coming, but the people at home didn't see it. When you are an artist, you have to look very far out. Even when I was working on the album with Idal Raichel [in 2010], I began working on these songs.” When the coup struck last year, most of Touré's family left their homes in the small town of Niafunke, to come to the country's capital, Bamako. And although he hired guards to protect his family from looters there, Touré said he nevertheless felt safe recording Mon Pays in Bamako.